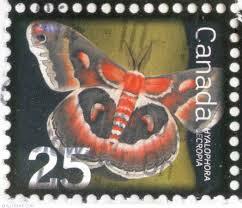 DESCRIPTION This giant silkworm moth is North Americas largest moth. Often seen under bright lights this beautifully coloured moth is rarely offered. This moth only lives for 2 weeks as they are unable to feed. Mating is its only priority.